Flexibility is a key factor for having a healthy active life and it is absolutely essential for all athletes to maintain their competitive abilities. After all the calories of food and excessive periods of likely inactivity over the Thanksgiving holidays, it’s time to get your son back into his regular golf and fitness routine. And a great way to plug in something different as in fun and excitement is to change things up. One of the easiest ways is to introduce a new stretching regimen. Miguel Angel Jimenez serves this up in spades! Perhaps you remember the 1st time you and your son saw MAJ doing a stretch on TV and your initial thoughts were: “Wow, I’ve not seen anything like that before!” Please know that his unorthodox routine was likely developed over a lengthy period of time with input from experts in stretching, physical fitness and/or orthopedics. So if you look at MAJ’s record and amazing flexibility for a man over 50 years old, it’s obvious he’s using these stretches to great advantage. In an individual sport where there is limited time for parent child interaction, stretching is an area that provides a great opportunity for bonding and a MAJ’s routine provides a chance for some comedy as well. I mean, some of these exercises are just going to look silly the 1st few times you and your son do them. Take a chill pill and embarrass yourself. Show some vulnerability in front of him, it shows him it’s OK to fail. The above link will take you to a great video demonstrating some of these moves. When you see how genuinely flexible MAJ is, you should get very motivated to master his moves. Take it easy and don’t rush things. The more proper stretching you and your son do, the more your flexibility will increase. And 1 additional inch of flexibility increases swing speed which adds distance to the shot. See you on #1 tee, looking nice and loose… Sam. Tomorrow is Thanksgiving and in today’s Wednesday Waggle we will look at how gratitude becomes a winning attitude. The pros take nothing for granted and certainly they all must in some respect be thankful, grateful, thrilled or just really glad they are able to play a sport they dearly love. and he was entering his freshman year in high school and 1 member of his group was a high school senior. Well, the senior was playing pretty well and hit a couple of bad shots. As the senior’s frustration was becoming more apparent-read anger, his Dad yelled out, “You don’t have any reason to be upset. You’re on a beautiful golf course playing the game you love!” Now whether or not this was coaching, I really didn’t care. It was a classic and intelligent statement that said, appreciate and be grateful for the times when you are in a great place doing something you genuinely enjoy! Understand that competition puts a different stress level on your daughter, but remember that she with the shortest memory is the 1 who starts hitting good shots sooner rather than later. It’s hard for adults to be grateful all the time so realize that it’s just as hard or harder for your kids. Parents, 1 of our most important roles is to be encouragers for our kids. So have your daughter look around and see the beauty around her on the golf course. Enjoy the birds, fish, butterflies and in the South, even the alligators. Here in Central Texas we have deer everywhere and also plenty of wild turkeys and feral hogs. Golf is a sport that takes you into nature and some courses have more nature than others. Yes, she needs to focus on her game but she also needs to appreciate where she is and how privileged she is to be there. Gratitude is a thankful appreciation for what an individual receives, whether tangible or intangible. Scientists have even noted that gratitude is associated with improved health. As noted in an article on this topic published in the Harvard Mental Health Letter, “expressing thanks may be one of the simplest ways to feel better:” Dr. P. Murali Doraiswamy, head of biologic psychology at Duke University Medical Center once stated that: “If [thankfulness] were a drug, it would be the world’s best-selling product with a health maintenance indication for every major organ system.” So science is coming on board with gratitude/thankfulness having definite health benefits. So Parents, you know what you need to do, thankfully, of course. Knowing what shot to hit and where you want it to end up is very important in order to win golf tournaments. The pros study their next tournament course in great detail and I don’t know exactly what they do or how they do it. What I do know is some elementary basic things that you and your son can start doing at virtually any skill level that can help him learn how to have a plan to attack a golf course and can help build his confidence during a round. The ultimate goal is to shoot the lowest score possible. Part of the plan to do that is to study the course ahead of time and figure out what club to hit on every tee box and where you want the ball to end up in order to be in a good position to hit an effective next shot. Many courses have yardage books that give yardages between, from and to various points on each hole. This can include tee boxes, greens, bunkers, hazards, etc. A yardage book can be a valuable asset. Buy 1 if available, they are usually $5-$10. A practice round and range finder along with a yardage book are more than sufficient for any junior golfer to be able to “plan out” each hole. Another benefit of having a strategy for playing a course is that it will give confidence to your son. Confidence can fluctuate during the 18 holes and every small thing to help build confidence ahead of the round is important. Real-life example: S3 and I played a practice round at the beautiful Comanche Trace Golf Club in Kerrville, Texas, to prepare for a US Amateur Qualifier. There was a short par 3 that had the potential to be particularly deceptive. Prevailing winds would be helping from tee to green, but you could only tell if the wind was blowing by looking at the balconies of condos behind the green. The green itself was way downhill in a hole and was shaped running from about 11:00o’clock to 5:00 o’clock. However the back left ⅓ of the green sloped downhill into a water hazard. So the miss on this green was center to right and mercifully the pin placement was front right instead of back left. Understand how easy it could be to hit too much club, or pull a shot to the back left or have a strong wind blowing behind you that you could not feel or be aware of and suddenly you have an easy-looking tee shot over the green in a water hazard. Dad and Mom, this stuff happens to the pros and it can and will happen to your junior golfer or a member of his group. Yes, it’s golf. 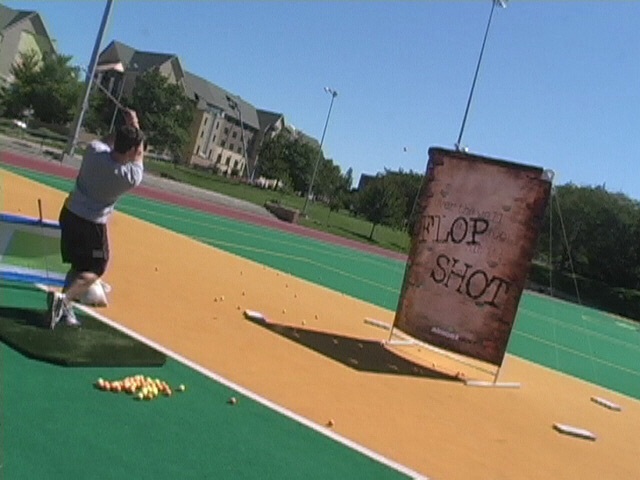 In this Friday Flop Shot, we will look at your son’s attitude and how it affects his play in a tournament. Professional golfers have an approach to all aspects of their game, especially tournament play, that becomes a regular, repeatable routine which helps them with their attitudes too. Every successful athlete has a positive mental outlook and attitude. This is displayed differently in each sport. Golf is a sport where adrenaline and attitude must be managed. Sure, when a pro golfer hits a bad shot he is unhappy and some show their displeasure more strongly than others. 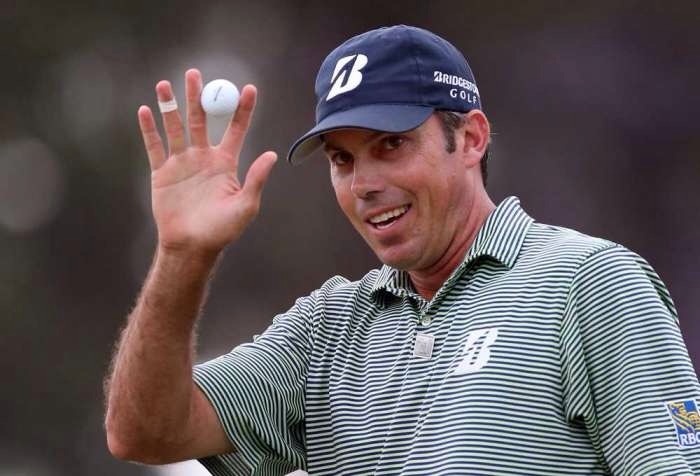 Matt Kuchar says, “Oh Mattie”, when he hits a bad shot. Jordan Spieth says “Oh Jordan” or “No Jordan”. The key here is that most people need to vent after a poor shot. And they need to get beyond the bad shot as quickly as possible. When caddying for S3, Nelson Blanchard, our good friend and excellent golfer, will say, “Sammie, you have until you walk by that tree over there to get over that shot and start focusing on hitting a good next shot.” Well, that tree is very close at hand, maybe 10 yards down the fairway, so S3 is allowed to vent in a quick and timely manner and reset his mind to a positive state for the next shot. So how does a parent help the son to prepare to have a proper attitude in competition? Please remember that attitude is 1 part of the huge arena called “mental game”. Millions of words have been written on this and we are giving you some tips/cliff notes to get things started. Attitude prep during your conversation should include: helping your son realize that he will be doing something he enjoys, he will have fun. He belongs with the other entrants and he will appreciate the tournament environment. He is going to hit a bad shot and the key is to have a very short memory and focus on hitting a good next shot. Everybody him the tournament is going to hit a bad shot. It’s how you hit the next shot that counts. Basically, Dad and Mom, you are encouragers for your son. Lift him up. Help him believe he can recover from a bad shot. Frankly, sometimes it is tough. There will be times when your son hits a great drive, just misses the green with his approach shot, chunks a chip and 3-putts for a double bogey. All that after hitting a great drive. This is hard on adults and can be really hard on kids. All the discussions before a tournament don’t guarantee anything. They do however, plant seeds in your son’s mind that will grow fruit now and then. Have 1 5-minute discussion several days before the event and on subsequent days give him a thumbs up and say the word, Positive or Positive Mental Attitude or just PMA. You may have 50 opportunities before he tees off. Repetition, it works! In today’s Wednesday Waggle, we will look at how to properly plan ahead for weather and specifically for changes in weather. Since golf is an outdoor sport, the weather is always a major factor in pre-tournament preparation. Every serious junior golfer will play in so many different weather conditions, it will make Mom and Dad’s head spin. Tournament play continues when the players safety is assured, the course is playable and there is adequate visibility. What this means is that you must have your daughter’s clothing and accessories available for several different weather scenarios at each event. And you’ll know what to bring when you check the weather in advance and have an idea of what the realities are on the course for the whole day. Here’s a classic example. This will happen at least 1x every year, perhaps more. Your daughter tees off at 9:00 am and it is 60-degrees, partly cloudy with light winds out of the south. A pretty nice day really. On about hole #6 clouds start rolling in and the wind dies and then starts to come out of the north. Well, here in Texas we know what this means: find something warm and waterproof in a hurry! A front is hitting, a cold front or norther as we call them. Winds will likely increase to the 2-3 club level and some showers may be in store. So the temperature drops 25-degrees in 30 minutes and those that aren’t prepared are miserable, at least more miserable than those who were prepared because now everyone is dealing with strong winds, much cooler weather and perhaps some rain. So how do you prepare for this? One way is to be totally unaware and unprepared and thus completely miserable once and then you will pack half of your house when you head to the next tournament. The best prep starts with checking the weather at least several days before the event and then keeping a close eye on the weather until you walk out the door. There are a million weather sites and apps and I am sort of a weather app junkie, but my go to iPad app is The Weather Channel. They have plenty of accurate, up-to-date weather. And today we’re talking about dramatic temperature changes which are fall, winter, and spring events, at least down here in Texas. Your first consideration is for your daughter. To keep bag weight down put these “must have” items in her bag before she tees off: a beanie or insulated band to cover her ears, a cap/visor to keep rain out of her eyes, a waterproof windbreaker and 2 large hand-warmer packs. You may consider adding an umbrella but they are useless in high wind and frankly, most kids can’t stand them and don’t want the extra baggage and weight. Waterproof pants are also a great item if there is room in the bag. We have seen time and time again that many boys and girls will leave their rain pants on long after they have removed their rain jacket. Part of this is to free up their swing and part is that pants can be a pain to take off, but the legs seem to be very comfortable with rain pants left on. They don’t add any weight really. Remember: in most tournaments you cannot give your daughter anything once she tees off. Now for the spectators, Dad, and Mom, et al: if you are in a cart, simply put all the above items for each of you, plus a blanket or 2 in the cart and you are set. Leave them in the car and you’ll find yourself driving full speed to the car to grab your gear once the front hits. You may want some gloves or mittens since you are not moving your body and really not getting your blood flowing, so your extremities may get cold. And for you Moms who love to wear flip flops on the golf course: you better have some real shoes somewhere because your feet are going to get cold. And some good socks, not cotton. Walking spectators need basically the same items as the junior golfers. 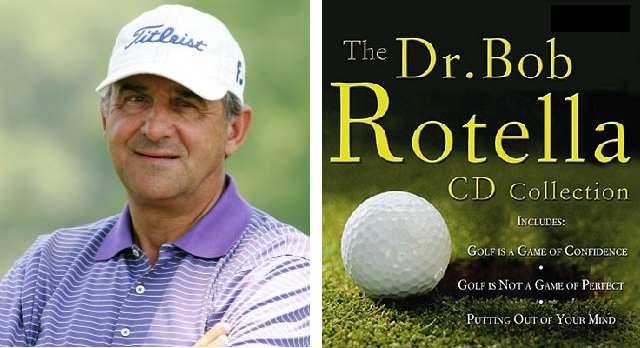 Morning Drive co-host Charlie Rymer referred to advice he was given during his professional playing days by famed sports psychologist, Dr. Bob Rotella who told Charlie: “be yourself. Charlie, you’re a talker, so talk while you’re playing.” So is your son a talker, the silent type or somewhere in between? If you have never thought about, then give yourself a moment to ponder this, but you already know. Your son will play with every type of personality imaginable and more. Some are fun, some are pleasantly tolerable and some are jerks and the silent ones are not necessarily jerks, but maybe just the quiet type. Being yourself is important in life and important in golf. Watch your son in his next few tournament rounds and at some point things will become quite clear. What you are looking for is when does your son seem to be more relaxed and playing better? Is it when he is talking to 1 of his group when they are walking down the fairway or is it when he kind of stays by himself and doesn’t have much interaction with the other players? A trend will show itself and once you have identified his comfortable scenario, have a good discussion with him and encourage him to use his comfort zone while he is playing. It works! Winning golf is about a lot of things and 1 is knowing or at least having a decent idea of how the golf ball will be impacted by different conditions and today we mean moisture. During play your son’s ball can get wet by being rained on, being in morning dew or really heavy air or just by being somewhere that a leak or sprinkler left some wet grass. These situations can be approached similarly, but with subtle differences. Let’s start on a wet green. Expect the ball to roll slower, meaning your son may need to strike it harder than if the green was dry and the ball likely will break less than it would if the green was dry. Always wipe all moisture from the putter face before addressing the ball. Practice strokes put water on the club face and this water prevents the ball from cleanly contacting the putter face. The ball will not roll properly if the face or the ball is wet. The ball can be marked and cleaned, on the green, and if it is not raining you can have a dry ball and dry club face and expect to get the desired proper roll from your putt. S3’s recent college tournament at The Tribute Golf Club had very heavy morning dew on the 2nd day. At the practice green I asked him if the dew had slowed the putts. His response, “Not much, if at all, on these greens.” So beware, some greens are still very fast even when damp. Hitting from a wet fairway is different in that you cannot clean or dry the ball, except under lift, clean and place rules, but that’s for another day. 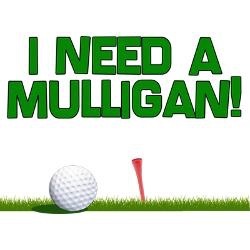 So really, take the practice swings then clean and dry the club face and take the shot. There is a chance for the ball to make decent contact with the grooves so the shot may be predictable. Hitting out of wet rough means no ball to groove contact and wet rough sometimes feels much heavier than dry rough. These shots are unpredictable. They can end up very short because the wet rough just shut down your son’s swing or they could be flyers if he is strong enough to make a good swing with a follow through. 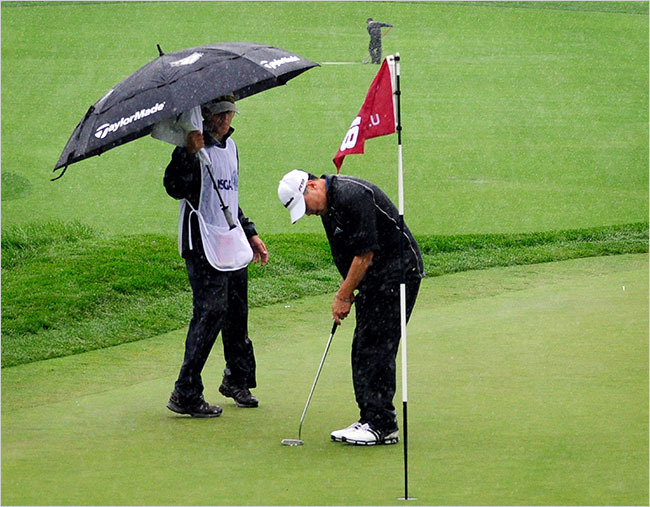 Wet conditions during a tournament can be intimidating. Proper preparation is a confidence builder. Always take a few minutes the night before a tournament to discuss tomorrow’s expected weather and playing conditions. Remember, everybody has to play in it.